Senior Vehicle Rental is your 1st choice for Vehicle Rental, having been established since 1989, serving Walsall and the West Midlands, being one of the largest independent vehicle rental companies in the area, for self-drive car-van & truck hire in Walsall & the West Midlands offering a wide variety of manufactures, makes and models with a vehicle suit everyone’s requirements, we provide vehicle hire including car hire, estate cars, seven seat MPV’s, minibus, van hire, Luton tail-lift, curtain side and drop side vehicles, commercial vehicle hire and trailer hire. Our vehicle hire services include, daily hire, weekly hire, flexi-hire, lease hire and contract hire covering Walsall , Birmingham and the West Midlands area, with coverage extending Nationwide. Our staff are extremely well trained and offer an efficient, friendly and above all professional service at all times. You will find that our staff are ready and willing to share their valuable experience and advice with our customers. Looking for a trustworthy name for local Walsall car and van hire services in the West Midlands, Senior Vehicle Rental provides a wide range of vehicles at affordable prices without compromising on excellent service. Take your pick from a wide range of vehicles at Senior Vehicle Rental car hire including some of the most popular models on the road, as well as people carriers, minibuses and top-market executive ranges. We are proud to provide Walsall vans hire as part of our service, with everything from compact vans all the way to Luton’s, drop-sided, curtain-sided and tail-lift models. Our vans are manufactured by the most trusted manufacturers in the business, including Ford, Citroen, Iveco, Mercedes and Volkswagen. Our Walsall truck hire services have a solid reputation for reliability and reputability among local businesses, with 7.5-tonne box vans, with or without tail-lifted and curtain-sided trucks available on some of the best day, weekend, weekly and longer-term rates around. 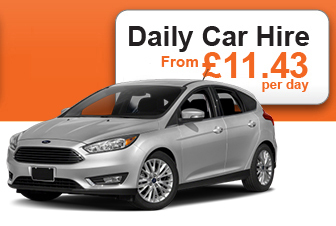 With prices starting at just £11.43 net per day, Senior Vehicle Rental is leading the way in Walsall car hire. Click here to browse our range now. Take your pick from a wide range of vehicles at Senior Vehicle Rental Minibus hire, including some of the most popular models on the road, our executive MPV people carriers, full leather diesel automatic, eight and nine seat long wheel base minibuses and fifteen and seventeen minibuses, top-market executive range, With prices starting at just £33.38 net, per day, Senior Vehicle Rental is leading the way in Walsall MPV and Minibus hire. Whether you are a business in need of a temporary vehicle to move stock or products, or you are an individual moving home, our Walsall van hire services provide every option you could need. Our very large range of Walsall van hire options includes Economy and Compact vans for individuals or small businesses from brands including Ford, Citroen and Peugeot. We also provide larger vans with short to extra long wheel bases, Luton’s with or without tail lifts, and drop and curtain sided vehicles. 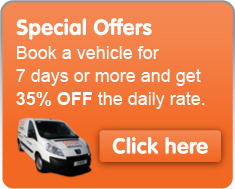 We have Walsall van hire options from top names such as VW, Mercedes, Iveco, Ford and Renault. 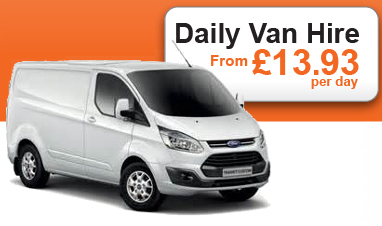 A huge selection of vans and commercial vehicles on your doorstep and available from just £13.93 net per day. Our Walsall truck hire range includes vehicles from some of the most reliable and trustworthy names in the business – including Mercedes, Renault, DAF and Iveco to name but a few – at affordable prices. As with our car hire services, we ensure we have a versatile fleet of Walsall truck hire options so we always have the right vehicle on hand for your needs. Choose between a standard 7.5-tonne box truck, vehicles with a tail lift or curtain sided trucks. Senior Vehicle Rental’s Walsall truck hire options complement our Walsall van hire services for businesses in the West Midlands. For trustworthy fleets that won’t let you down, stay local with Senior Vehicle Rental.